Luke 1:26 "And in the sixth month the angel Gabriel was sent from God unto a city of Galilee, named Nazareth, 2 To a virgin espoused to a man whose name was Joseph, of the house of David; and the virgin's name was Mary." 28 And the angel came in unto her, and said, Hail, thou that art highly favoured, the Lord is with thee; blessed art thou among women. 29 "And when she saw him, she was troubled at his saying, and cast in her mind what manner of salutation this should be." 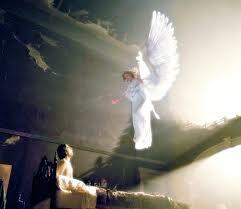 30 "And the angel said unto her, Fear not, Mary: for thou hast found favour with God." 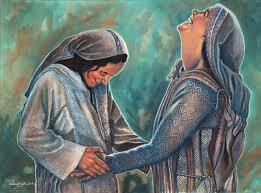 31 "And, behold, thou shalt conceive in thy womb, and bring forth a son, and shall call his name JESUS." 32 "He shall be great, and shall be called the Son of the Highest: and the Lord God shall give unto him the throne of his father David." 33 "And he shall reign over the house of Jacob for ever; and of his kingdom there shall be no end." 34 "Then said Mary unto the angel, How shall this be, seeing I know not a man?" 35 "And the angel answered and said unto her, The Holy Ghost shall come upon thee, and the power of the Highest shall overshadow thee: therefore also that holy thing which shall be born of thee shall be called the Son of God." 36 "And, behold, thy cousin Elizabeth, she has also conceived a son in her old age; and this is the sixth month with her, who was called barren. 37 For with God nothing shall be impossible." 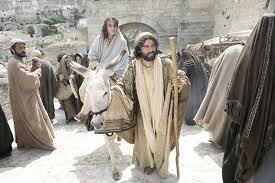 38 "And Mary said, Behold the handmaid of the Lord; be it unto me according to thy word. And the angel departed from her." 39 "And Mary arose in those days, and went into the hill country with haste, into a city of Juda;--"
40 "And entered into the house of Zacharias, and saluted Elizabeth." 41 "And it came to pass, that, when Elizabeth heard the salutation of Mary, the babe leaped in her womb; and Elizabeth was filled with the Holy Ghost: 42 And she spake out with a loud voice, and said, ---""
"Blessed art thou among women, and blessed is the fruit of thy womb. 43 "And whence is this to me, that the mother of my Lord should come to me? 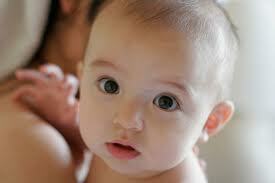 44 For, lo, as soon as the voice of thy salutation sounded in mine ears, the babe leaped in my womb for joy." 45 "And blessed is she that believed: for there shall be a performance of those things which were told her from the Lord." 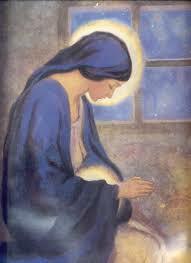 46 "And Mary said, My soul doth magnify the Lord." 47 "And my spirit hath rejoiced in God my Savior." 48 "For he hath regarded the low estate of his handmaiden: for, behold, from henceforth all generations shall call me blessed." 49 "For he that is mighty hath done to me great things; and holy is his name. 50 "And his mercy is on them that fear him from generation to generation. 51 "He hath shewed strength with his arm; he hath scattered the proud in the imagination of their hearts." 52 "He hath put down the mighty from their seats, and exalted them of low degree." 53 "He hath filled the hungry with good things; and the rich he hath sent empty away." 54 "He hath holpen his servant Israel, in remembrsance of his mercy; 55 As he spake to our fathers, to Abraham, and to his seed forever." 56 "And Mary abode with her about three months, and returned to her own house." 1 "And it came to pass in those days, that there went out a decree from Caesar Augustus, that all the world should be taxed. 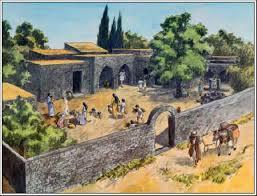 2 (And this taxing was first made when Cyrenius was governor of Syria) 3 And all went to be taxed, every one into his own city." 5 "To be taxed with Mary his espoused wife, being great with child." 6 "And so it was, that, while they were there, the days were accomplished that she should be delivered." 7 "And she brought forth her first born son, and wrapped him in swaddling clothes, and laid him in a manger; because there was no room for them in the inn." 8 "And there were in the same country shepherds abiding in the field, keeping watch over their flock by night. 9 And, lo, the angel of the Lord came upon them, and the glory of the Lord shone round about them: and they were sore afraid." 10 "And the angel said unto them, Fear not: for, behold, I bring you good tidings of great joy, which shall be to all people. 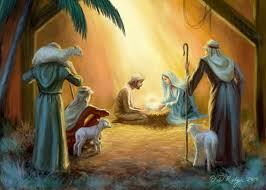 11 "For unto you is born this day in the city of David a Savior, which is Christ the Lord." 12 "And this shall be a sign unto you; Ye shall find the babe wrapped in swaddling clothes, lying in a manger." 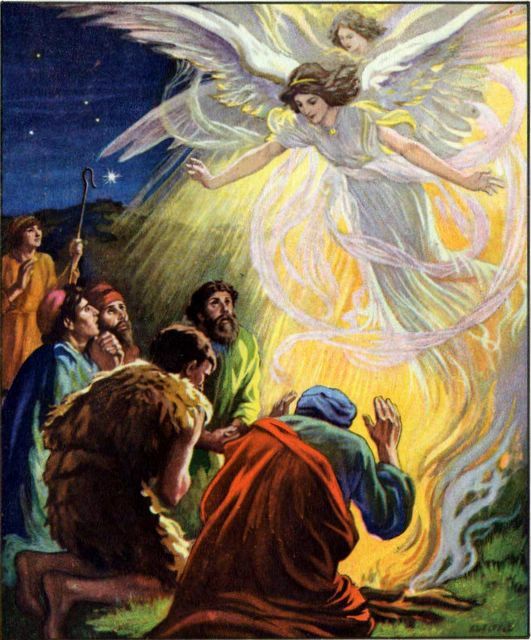 13 "And suddenly there was with the angel a multitude of the heavenly host praising God, and saying, 14 "Glory to God in the highest, and on earth peace, good will toward men." 15 "And it came to pass, as the angels were gone away from them into heaven, the shepherds said one to another, Let us now go even unto Bethlehem, and see this thing which has come to pass, which the Lord hath made known unto us." 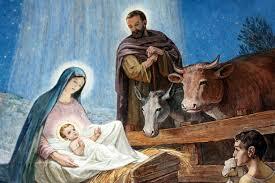 16 "And they came with haste, and found Mary, and Joseph, and the babe lying in a manger." 17 "And when they had seen it, they made known abroad the saying which was told them concerning this child. 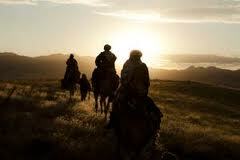 18 And all they that heard it wondered at those things which were told them by the shepherds. 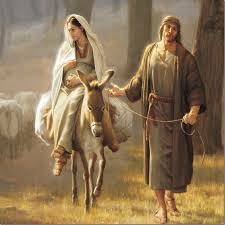 19 But Mary kept all thse things, and pondered them in her heart." 20 "And the shepherds returned, glorifying and praising God for all the things that they had heard and seen, as it was told unto them." 21 "And when eight days were accomplished for the circumcising of the child, his name was called JESUS, which was so named of the angel before he was conceived in the womb." 24 "And to offer a sacrifice according to that which is said in the law of the Lord, A pair of turtledoves, or two young pigeons." pigeons." Matthew's Nativity Story - Click Here!